Smartwatches are often only as smart as the phones they are paired with. They have a brain of their own but need a borrowed heart (read phone) that really puts a soul in their bodies. Until now, most smartwatches could almost do what a phone does only if they were within the Bluetooth radius of their paired phones. Apple, with the launch of its Watch Series 3 GPS + Cellular has changed this requisite of the watch being chained to the phone, forever. 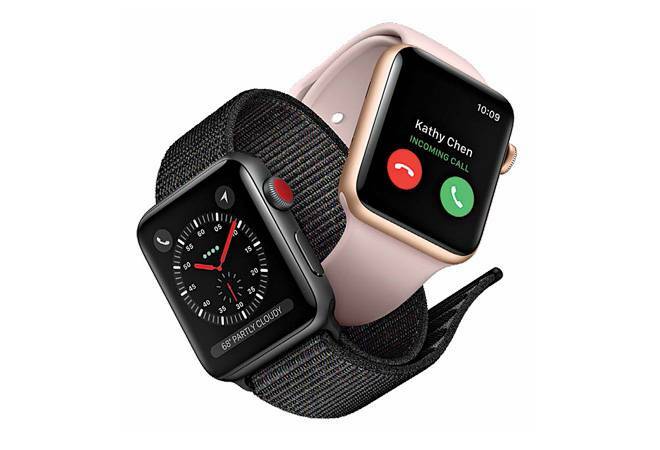 Apple has integrated cellular connectivity within the watch using electronic SIM (eSIM) that can be activated over-the-air by your cellular operator that is mapped on your current functional mobile number. Setting up the watch took me less than five minutes, and I was all set to not only receive calls but make calls as well, using the built-in speakerphone even when I turned my phone off. But you don't need me to tell you that it is always better if you pair the watch with a Bluetooth headset. Text messages, WhatsApp messages, e-mails, too, were received seamlessly without a hitch. The phone app on the watch synced my call records, contacts, and the favourite list from the iPhone. A simple command to Siri (Apple's voice assistant) would let me make a call; replying to text messages was easy using the preset messages on the watch. I was also able to stream music from the Apple Music library by just asking Siri to play a song I wanted to listen to. The watch would switch automatically to the cellular network when it wasn't connected with the iPhone or a Wi-Fi network. A special 'Explorer' watch face displayed four green dots that represented cellular network bars on the screen. The battery life is good - it lasted over a day with a couple of hours of cellular connectivity.